Seven of the vulnerabilities score 8.0 or higher for CVSSv3 Severity, and they are being exploited in the wild, so this is a critical patch. Sites can apply SUPEE-9767, or update to the new release CE 1.9.3.3 / EE 1.14.3.3. What are common issues or pitfalls to watch out for when applying SUPEE-9767? Magento has released SUPEE-9767 V2 and CE 1.9.3.4 to address many of the issues from the initial patch. If you applied V1, you should revert and then apply V2. If you haven't patched yet, just apply V2, and most of the issues brought up here will not be relevant. If you're using a 3rd party checkout module, you'll have to get in touch with them so they can provide an updated version of their module. Also if you have custom versions of the previously listed JS files, you'll have to update them too. IMPORTANT NOTE : the checkout formkey validation can be changed in the backend via a new config field under System > Configuration > Admin > Security > Enable Form Key Validation On Checkout . THIS IS NOT ENABLED BY DEFAULT so you'll have to enable it to benefit from this security feature!!! Note that you'll get a notice in the backend if it's not enabled. The image gallery controller has been updated to add a validation callback. This patch removes the system configuration field that allows you to allow template symlinks in the backend. It used to be under System > Configuration > Developer > Template > Allow Symlinks . Now the entire Template section is gone. The funny thing here is that you'll get a notice in the backend if you have that configuration field enabled prior to the patch but you won't be able to disable it as the field is gone. This modification is really about calling uploadable content (like images) via template directives. 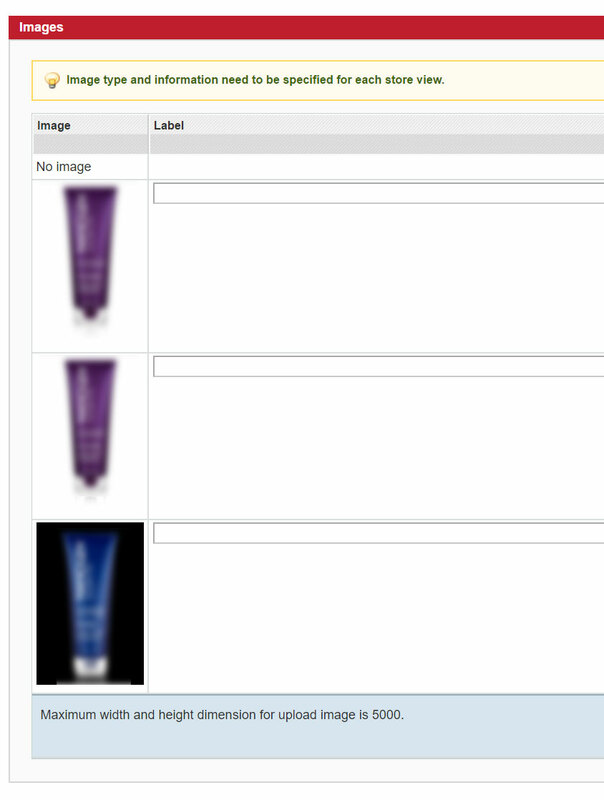 The issue related to symlinks is exploitable only with admin access and Magento added some more protection around image uploads as well. Please note that they are some protections against known way to exploit it in addition to the setting itself. What to do: if like me, you're using modman or composer with template symlinks, you're gonna face some issues. I'm still trying to find out what's the best thing to do here apart from dealing with SQL queries. The word 'confirmed' is used for confirmed bugs. If it's not there, that means it could be a bug but hasn't been confirmed yet. If files are not different then this is either a permission issue or a "bug" in the patch. patching file app/design/frontend/rwd/default/layout/page.xml Hunk #1 FAILED at 36.
patching file app/design/frontend/enterprise/default/template/persistent/checkout/onepage/billing.phtml Hunk #1 FAILED at 225.
patching file app/code/core/Enterprise/PageCache/Model/Observer.php Hunk #6 FAILED at 1093.
patching file app/code/core/Mage/Core/etc/system.xml Hunk #3 FAILED at 1355.
patching file app/code/core/Mage/Sales/Model/Quote/Item.php Hunk #1 FAILED at 500. Magento add form_key at most of the forms. if the template files are calling from base theme then it does not create problem.Because patch will automatically update those files. app/code/local/Mage/Customer/Model/Session.php then you may be get form_key issue when we set a customer for the session using setCustomerAsLoggedIn() /or after a customer set at session . This is one best solution for now. Note, before do that I am strongly recommended to take files and database backup or full system backup. We know that patch supee-9767 release for security purpose, the if you using ONESTEP CHECKOUT then you should add form_key validation to SAVE action of your onestep checkout controller. Symlinks seem to be disallowed by default (in app/etc/config.xml). Also, the ability to allow them seems to have been removed from the admin configuration. However, if your site previously explicitly enabled symlinks, the setting would be saved in the database, overriding this change. You need to clear both the cache AND the full page cache when applying this patch. The design exceptions are saved in a format the is incompatible with decoding. You'll see an error like this "Decoding failed: Syntax error" if you don't flush page cache. in all above phtml files below form key line is added so please add this line in your respective phtml file. And if you are using any checkout extension which overrides below files then add form key line in checkout extension's phtml file. Note that Symlinks have always been disabled by default on new Magento installations admin YES/NO config values default to 'NO'. The update now explicitly disables symlinks in config.xml and as an extra precaution also removes the template section from admin->developer which contained the configuration option. This will not affect your current symlink settings, if you manually enabled symlinks prior to 1.9.3.2 they will stay enabled, although you cannot see the setting anymore in admin. Users using modman to manage Magento 1.x modules should ensure that they do not disable symlinks as this will disable the modman modules. Here is the diff file for magento1933 and magento1932 to assist with identifying changes in the default theme which may affect your custom/extended themes. Of course create an addon to rewrite this. But I am sure there is something better to be done here. Create your extension to override it and dont edit the core file. An issue I have seen is where dynamic code (paypal plus) in the one page checkout process overwrites the fieldset element in the one step payment method form html - deleting or disabling (with css) the hidden form_key element. You can easily confirm if the form_key is being detected and sent to the one page controller by inspecting the ajax network requests in your browser as you move through the checkout methods, each method should include the form key in the ajax form data, if the form key is not there but the Magento source code has been patched check for external code affecting the form key element, i.e. css or dynamic client side changes. ISSUE: Customer Registration Fails when using generic Magento 5-step checkout. When Go to checkout, we are presented with 2 options: CHECKOUT AS A GUEST OR REGISTER Once click "Register", and fill-out the form along with password, you proceed throguh all steps and complete the order. Order gets placed, BUT customer never gets registered in magento. It looks like Guest placed order. When I went back and Disabled form key authentication, and tried placing order while registering as a customer, it got placed without any problems and the customer got registered in the backend. Magento team has released SUPEE-9767 V2 in this version of the patch the problem with transparent gif's and png's is fixed. You should revert all changes to the file that was discussed in this thread. Then revert the applied V1 patch and finally apply the new version V2. In the moment I am not sure what exactly is causing this behaviour but I am trying to figure it out I can confirm that when the callback is removed the strange behaviour is going away. Ok, I found the function that is also updated from SUPEE-9767 this is actually breaking the transparency in the png's a copy of the original image is created without transparency. This updated version of the function fixes the PNG and the GIF transparency. The issue is </block> is at the end of checkout_formkey (which is self-terminating) and therefore closes the parent notifications. This causes the notification_symlink to not be included in the core/text_list and not be rendered. Little tip for #patchday; after copying 1.9.3.3 over your install, run git diff -w --stat | grep -v " 2 +" | grep -v " 0" to quickly see bigger changes in files. I patched an EE 1.13.1.0 install, and the enterprise shipping template (app/design/frontend/enterprise/default/template/checkout/onepage/shipping.phtml) did not have the formkey added, but the billing and payment templates did. There is an issue with Magento EE versions that are patched with SUPEE-9767 (so not with upgrades to 1.14.3.3). The form key on that page will be cached. So when I flush my cache and then go to a product page and make sure the page is completely cached (refresh a couple of times), I should be able to add that product to my cart. Now, when I open a different browser (or incognito mode), open the same page and try to add the product to the cart again. The product will not be added to cart, because of the form key. Now when you flush the cache again, the product can be added to the cart again. 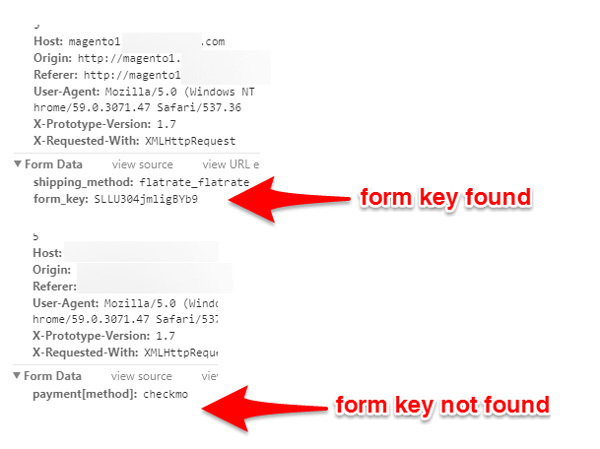 For developers using Magento Composer Intaller, you can change the deployment strategy to Copy instead of Symlink. You can also configure to append the module files to your .gitignore, so your repository will stay clean. I had an issue on EE 1.14.2.2 with FPC enabled and this patch applied. Intermittently users could not add to cart. During the testing of our patch script we discovered a problem in the patch for Magento 1.7.0.0. Don't know if anybody still uses it, but anyhow it is a problem in SUPEE-9767. We used a vanilla install and we installed all previous patches first. ERROR: Patch can't be applied/reverted successfully. Hunk #1 FAILED at 502. I just had to revert this patch due to some strange behavior. For whatever reason, certain users could not add certain items to their cart. I'm assuming it has something to do with old quotes colliding with the current quote for that customer. I verified this issue by logging in as the user to make sure it wasn't just a 1D10T. It's been an issue since I took that patch life last Friday. We are using 1.14.2.4. We are heavily modified so it might work fine for other users. Just a warning! After that save the file (commit to your REPO), clear the cache (remove everything inside var/cache folder) and reload your store front. You should find the site loads without anymore 302 redirect issues after applying the SUPEE 9767 Patch. The difference in SCHEME value between the actual Request and the URI after redirection. Eg: The actual request returns the scheme HTTP but the scheme in the URI can be HTTPS. You may most likely have a redirect rule in .htaccess file to redirect all the http requests to https. The user requests http://yourdomain.com and you may have changed the scheme and redirected him to https://yourdomain instead of http://yourdomain.com which he had actually requested. The CONFIRMED BUG "Customer registration fails at checkout" occurred a bit different on my side. If the customer choose register in checkout then its password is not correctly stored. The customer is created correctly just that the password is not stored. I detected this by the fact that the password was not shown in welcome email. People can't login because of this too. Bugfix linked in SUPEE-9767 Patch/CE 1.9.3.3 - One Page Checkout - Customer Registration issue has done the job for me too. Can anyone tell me what the f... is this s... for in supee-9767? The patch doesn't work even for a vanilla Magento 1.7.0.2. Hunk #1 succeeded at 109 (offset -29 lines). Hunk #1 succeeded at 293 (offset -34 lines). Hunk #2 succeeded at 313 (offset -34 lines). Hunk #3 succeeded at 363 (offset -34 lines). Hunk #4 succeeded at 392 (offset -34 lines). Hunk #5 succeeded at 431 (offset -34 lines). Hunk #1 succeeded at 141 (offset -7 lines). Hunk #1 succeeded at 400 (offset -5 lines). Hunk #2 succeeded at 923 (offset -5 lines). Hunk #2 succeeded at 235 with fuzz 2 (offset -13 lines). even after applying older patches manually. So you have to remove or override this backend model, see How to enable symlinks after SUPEE-9767 V2 install? Not the answer you're looking for? Browse other questions tagged magento-1 security patches supee-9767 or ask your own question. PATCH 9767 v2 issues, where to download already patched Magento? Is New Magento Security Patch required on fresh install?